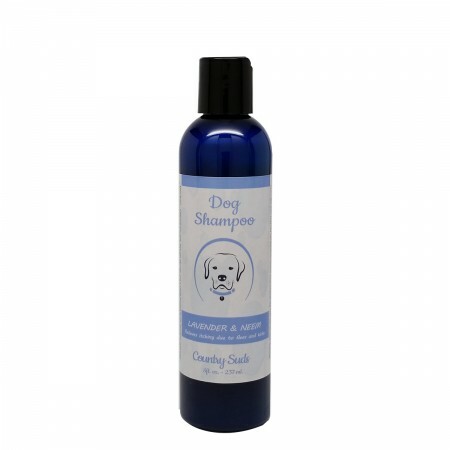 Lavender and Neem Dog Shampoo relieves itching due to fleas and ticks. Directions: External use only. 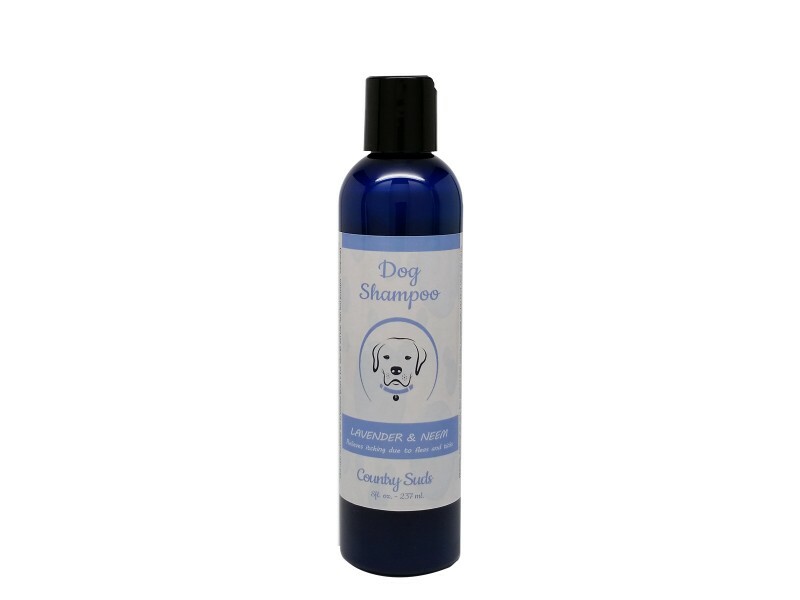 Wet pet all over, put a small amount of pet shampoo onto your hands and massage into their coat and skin. Rinse thoroughly, repeat if necessary. Avoid contact with eyes. Contains ingredients derived from coconut oil, neem oil, lavender essential oil. And other proprietary ingredients. Warning: external use only, this product does contain essential oils DO NOT USE ON CATS, always check with your veterinarian before using any new product on your pet. KEEP OUT OF REACH OF CHILDREN.